Provide comfort for the family of John Mallan with a meaningful gesture of sympathy. John “Jack” Mallan Jr. passed away December 20th, 2018 at home after a long, impactful and fulfilling life. He distinguished himself as a man of learning, humor, integrity, and contribution, and he will be missed and remembered by his family, friends, and the Syracuse community. Jack was born on February 28, 1928 in Scarsdale, N.Y., to John and Ethel Mallan, growing up happily as the middle child between sisters Peggy and Ethelyn. As a child Jack enjoyed football and scouting, reaching the level of Eagle Scout, of which he was quite proud. At age 17, Jack joined the army after “fudging” his age to recruiters. He served in the Western Pacific during World War II. During his service he was a football player, military policeman, and City Editor, reporter, and feature writer for the military newspaper The Daily Pacifican out of Manilla. He received an honorable discharge from the U.S. Army in 1946. He used G.I. Bill benefits from his military service to attend college, graduating in 1950 from Colgate University. Jack went on to obtain a Master’s degree from Columbia University in 1953 and a Ph.D. from Syracuse University in 1973, where he stayed to teach until his retirement in 1993. As a professor at S.U., Jack devoted his professional life to teaching people to be teachers – a vocation he loved. Through his students, and their students, he touched the life of thousands. Jack’s work in the field of education was prolific and long-reaching. He began by teaching at various high schools and private schools throughout New York State, including the Millbrook School, Hudson Falls High School, and Baldwinsville High School. Before teaching at Syracuse he was on the faculties of Ohio University, Antioch College, and the University of Toledo. He served as curriculum coordinator in public schools, was an assistant superintendent, and served as a school board member. At the university level, he founded the Cooperative Center for Social Science Education at Ohio University, served as assistant director for International Programs, and was directly involved in both Peace Corps and Teacher Corps programs. His work in such capacities led to his consulting with universities and school districts throughout the country. He even hosted a public television show on human relations in Cleveland, Ohio. He was the coordinator of the Social Studies Education Department at Syracuse University, and was awarded the Distinguished Social Science Educator in New York State award in 1983. Jack was also a speaker and writer, and authored four seminal education textbooks, Children and Their World and the three volume series No G.O.D.s in the Classroom, amongst numerous other manuscripts and papers. Children and Their World was selected as Book of the Month by Instructor magazine. Jack presented at national professional meetings, such as the American Association for the Advancement of Science, American Association of School Administrators, American Society for Curriculum Development, and others. He also served on the National Committee for Academic Freedom. Jack met his wife Janet in 1984 and they married in 1989. Together, they travelled often, doted on their grandchildren, enjoyed time with friends, and remained quite active in the community. 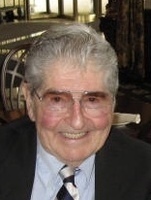 Jack championed numerous causes during his life, from spearheading desegregation efforts in the Cleveland Heights School District, to supporting and promoting opportunities for children and adults with developmental disabilities. For several years he served on the board of ARC of Onondaga and acted as board liaison to the Monarch Industries program. He and Janet were unanimously awarded the Robert J. & Mary Carol Fisher Founder’s Award in 2012 by ARC of Onondaga. Throughout his life, Jack was a gregarious, affable Irishman who loved life and all it had to teach us. He always asked good questions, and rarely took himself (or anyone else), too seriously. He particularly loved football, oil painting, storytelling, and politics. But anyone who knew Jack knew that his primary passion was reading. His weekly forays to the local bookstore always resulted in several more additions to his extensive library of over 3,000 books and periodicals. He seemed to know something about every topic – perhaps a testament to his lifelong love of reading, intellectual curiosity, and a fascination with his fellow human beings. He was fortunate enough to live a long and happy retirement, always seen with (at least one) book in hand. He is survived by his wife Janet, children Lynda and Shawn, step children Stephanie and Rick, and step grandchildren Catherine, Stephen, Barrett and Kira. Memorial service to be held on Saturday, January 26th at 11:00 am at the First Unitarian Universalist Society of Syracuse, corner of Nottingham and Waring Roads. Janet and Family, I worked with Jack for a number of years, and saw his dedication to his students and to preparing teachers, his rebel spirit, and his sense of humor! I am sorry for your loss. Dr. Mallan was a huge influence on my teaching career. Before retirement, I would routinely reference his book "No G.O.D.S (Givers Of Directions) in the Classroom" with my colleagues.